Juneau – Today, the Alaska Legislature passed legislation updating state statutes dealing with franchise agreements between auto dealers and auto manufacturers and distributors. 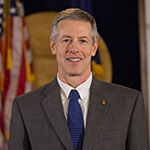 House Bill 136 was sponsored by Representative Matt Claman (D-Anchorage). 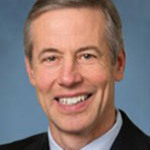 The Senate companion bill, Senate Bill 47, was introduced by Senator Kevin Meyer. Juneau – Today, the Alaska House of Representatives passed legislation sponsored by Representative Matt Claman (D-Anchorage) that supports the health of Alaskan women and their families by providing greater access to reproductive health care and prescription contraceptives. Juneau – Today, the Alaska House of Representatives passed legislation sponsored by Representative Matt Claman (D-Anchorage) that amends the Alaska Marriage Code to add language that allows for marriages to be solemnized by elected officials of the state of Alaska. Juneau – Today, the Alaska House of Representatives passed legislation sponsored by Representative Matt Claman (D-Anchorage) that helps address the problem of assaults within health care facilities. Juneau – Today, recognizing the sensitive nature and increasingly prevalent use of geolocation and biometric data, Representative Matt Claman (D-Anchorage) introduced House Bill 328 which will regulate the collection, dissemination, and storage of this information. Anchorage – Representative Matt Claman (D-Anchorage) and Representative Jason Grenn (I-Anchorage) will hold a public safety town hall and resource fair on Thursday evening to continue conversations about public safety concerns, share available resources, and discuss how to work together to improve safety in West Anchorage.